They were the international jury favourites. And this afternoon it became clear that the general public were Lake Malawi fans too. The indie-pop trio will now go on to represent the Czech republic at Eurovision 2019 with “Friend of a Friend” after winning the sophomore edition of Eurovision Song CZ. However, unlike last year’s Eurovision Song CZ champ Mikolas Josef, the group were far from runaway victors. While they picked up the most 12 points from the 10-person jury, they ended up tied with Barbora Mochowa and the Lana Del Rey flavoured “True Colors”. Once the public app votes were added everything changed. Jakub Ondra topped that constituency with the gastronomically questionable “Space Sushi”. The men of Lake Malawi came second. With Jakub and Barbora both receiving six points from the jury and public respectively, the band’s route to the top spot was clear. After all scores were combined, Jakub Ondra emerged in second place and Pamela Rabbit finished third with “Easy To Believe”. The international jury included ten former Eurovision acts — Cesár Sampson (Austria 2018), Rasmussen (Denmark 2018), Zibbz (Switzerland 2018), Ira Losco (Malta 2002 and 2016), Elina Nechayeva (Estonia 2018), AWS (Hungary 2018), Alma (France 2017), Ari Ólafsson (Iceland 2018), JOWST (Norway 2017) and Ryan O’Shaughnessy (Ireland 2018). The votes of international app voters were combined to act as an eleventh juror. Consequently, the “televote” element was made up entirely of Czech app voters. With a name inspired by a Bon Iver song, Lake Malawi was founded by lead singer Albert Černý in 2013. As well as vocals, Albert also plays guitar. The remaining three members are Jeroným Šubrt (bass and keys) and Antonín Hrabal (drums). Earlier this month Albert caught up with our William for a more in-depth talk on the band’s origins and plans for Eurovision. What do you think? Are you excited to see Lake Malawi in Tel Aviv? Will you be singing along to “Friend of a Friend” in May? Let us know in the comments. Read all our Czech Republic Eurovision 2019 news. 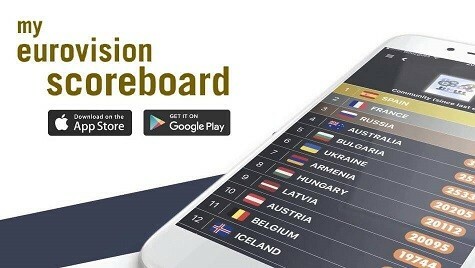 Eurovision 2019 semi-final allocation draw: Which countries sing when? Not my favourite song but interesting. It’s fun an positive. Let’s see how it will be interpreted on stage. Cant imagine many voting for this, will need a good jury score to qualify. I can’t imagine many jury members ranking this high if they understand English. Boring repetitive and out of date. 80’s vibe! I love the 80’s but I think this will be a borderline qualifier. It depends on the staging and what the other countries send. I’ve a feeling we’ll be seeing the Czech Republic in the final again. This is good! I think the European audience will love them. The song is freshly modern and can make one feel happy. Nice tune. Too early to tell wether is will qualify or not. 100% agreed. The challenges are clearly there. But perhaps the riskier the feat, the greater the gain? Since Lake Malawi is only a 3-piece band, there is room to have two women on the stage. One could be his girlfriend who he is singing to, and the other one could be the “friend of a friend”. They could stage the song literally, LOL. Or everything could happen on the screens around them… lots of options this year. This is a song to play in an Abercrombie&Fitch store and i absolutely love it! why does it sound an awful lot like Coldplay – Adventure of a Lifetime? well, they forgot to write a descent song. Kind of reminds me of The 1975. I hope it qualifies. Interesting choice! I could see this qualifying if they get creative with the staging and whatnot. I don’t necessarily see it being a top 10-15 finisher however. We’ve never heard a song like this at Eurovision! Nice to see a new flavour in this contest #celebratingdiversity. Not enough for the win but a dark horse for top 10? It’s a decent bop, and I’d have called it a borderline qualifier if not for the open field of semi one (as compared to its impressive escape from the bloodbath last year). Upon first listen, this started out as a promising entry. However a few seconds into the song and I started to cringe. Safe to say this is not qualifying. Shame, after such a strong entry last year too. Nice entry. It will jump into the borderline wagon, but it can make it if well-staged. The song is annoying imo, my favourites were actually Barbora, Pam and Andrea but PLEASE get rid of the talking bit and Czech Republic might not be in my bottom 5 for the second year in a row. Ahem , how come Barbora M. Is 4th if they are all tied with 18 points total?? I’m content with this. True Colours was my pick in a strong field, but this is still a good entry and possibly the best so far. I’m really happy about this! Well, I do like the group, some of their songs are quite interesting. Plus, Albert is super cute and charismatic, so his stage presence might bring in the votes needed to qualify. I also quite like the rhythm, it’s fun. I think my issue are the lyrics. I feel like nobody thought of anything, they just threw some words together. But thanks to the French abyss, I can get onboard with pretty much anything after that. Happy for them. Interesting that the Czech gave only 6 points to “True Colors”. With any of them Czechia is going to struggle, but at least “Friend of a Friend” is enjoyable. It is its short form name. Okay so somehow all my favourites are losing their selections. Worst year for my predictions. At this point I am doubting whether ESC2019 is worth fully watching. I am still waiting for a country to send a song that is worthwhile and breathtaking. All I am getting are generic songs. Anyways goodluck Czech Republic. Have been a fan since 2016 so we will see if you get points from me. Four songs, none of which I personally think are bad at all (two I really like, one that’s growing on me, and one that’s meh). We have a long way to go. What disappointments me is that countries are just picking what they like without remembering that it matters more what Europe wants in order to win. I’m so surprised when people say all their favorites are gone at this point. If two of my favorites get to the contest, I call it a good year! I kinda like it but the speaking bridge puts me off a bit. Well Done Czech Rep. Good song and charismatic singer. In the final! Lets be honest for a moment here, even if Czech Rep. sent True Colours, it probably wouldn’t win. So far, this year isn’t nearly as strong as last year. But hey, 2018 is a difficult year to top and there’s only been four songs released so far, so we can’t judge this year too harshly at this stage in the game. oh my god, so far it isn’t as strong as last year? we are four songs in! 1st half of 1st semi for Czechia. Poland, Hungary, Cyprus, Czechia, Ukraine, Greece, Portugal, Belgium, Australia and 1 left, I would say to the final from semi 1. I just want to say one thing: if Spain sent something like that, you would be saying things like “Spain bottom again” “What a mess” “completely disaster”. Be objective please…. You’re saying this as if songs from Spain were underrated. Spain has been sending valid songs lately, but if they send a bad one, it’s a bad song, no matter the country. Plus many are hating on this entry just because it’s from the Czech Republic. Your sentence should be rephrased as: if Spain sent something like that, you would be saying things like “Spain for the win” “What a wonderful song” “This is want I to see at Eurovision”. I wouldn’t. It’s a really great song. Spain would be lucky to have it. It stands out due to not being many indie- pop songs this year. It’s fun and energetic and the right combination of indie and Commercial that could work. And it’s a bop! The fact that a girl says “I’m only a friend” in the song almost requires a girl to be on stage together with Lake Malawi. I expect that there will be some kind of interection with Albert and the girl… this should be fun to watch in Tel Aviv! Good luck Czech neighbours, this is a good one! I don’t care about the song but they do look hot in that picture. And that was to pick Barbora, Pam or Andrea. I’m crying but if they get rid of the talking bits in the song, they might not be in my bottom 5 for the 2nd year in a row. well given how well Mikolas did despite being in your bottom 5, that’s a good sign for the Czech Republic surely, that you don’t like them? Well I don’t have anything against Mikolas or Czech Republic, I just didn’t like their song last year. Yeah I really like that, he is incredibly charismatic, that will stick with viewers and could do well. I see it’s indie routes but it definitely has a pop sounds and the mix of the two could do well at Eurovision, but also works really well! This year is not my year…. I also liked Barboras song, but I think this song is a really good choice. It’s catchy and powerful, please stop to hate.. The Public votes are shocking! Space Sushi 1st and True Colours 4th, I hope Czech Republic reverts back internally from next year cause they’ve probably had the worst selection this year! Lake Malawi actually have decent songs which I searched for but it’s a shame they’re in Eurovision with a cheap wimper, I predict the lowest placing for Czechia this decade! Next year we will have a huge televised national final, it was confirmed during today’s press conference. though i’m still waiting for a real gem to root for from MelFest, Vidbir and etc., bring it on folks! Unfortunately, Vidbir doesn’t look promising so far. Welcome Lake Malawi! Our first group and (probably) out first electro-indie song this season, also my winner of this selection! Good luck to you in Tel Aviv!